Arrives before Christmas. Color: Coyote ACU Black Black Multicam Coyote Gray Multicam OCP 08009B OD Green Red ★ APPEAL: This backpack is amazing! You can use it every day for school, carry on for travel or a military tactical assault rucksack. It is completely versatile for any backpack situation. You will love having so many different places to put all your stuff to keep it all separated. It even has a hydration compartment. ★ EFFECTIVE: There's plenty of compartments to store and organize your life. The pack holds 3 days worth of clothes along with toiletries and other essential gear. A solid multifunctional backpack for combat, range, survival or hunting. It is water resistant keeping everything dry in a storm. 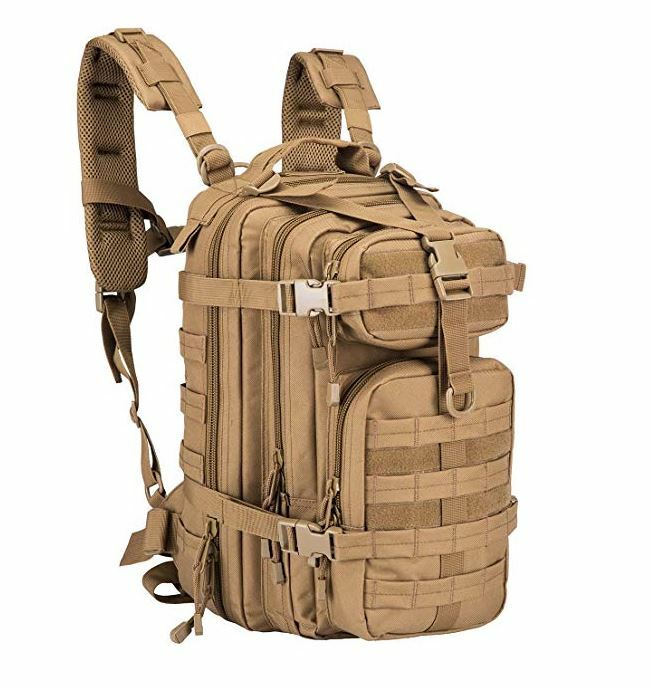 ★ USEFULNESS: This army assault hydration compatible backpack is an absolute must-have for every man or woman who is frequently camping, hiking, trekking, traveling or someone who is a fan of outdoor, survival adventures! It is small andcompact enough to easily carry on your shoulders, yet spacious enough for your belongings. ★ DESIGN: With its 600 denier polyester making it tear resistant with awesome straps and great zippers,equipped with a comfortable mesh padding back area and padded shoulder straps, that can and will withstand heavy-duty use. 16.5''x11''x9''in size and 34L in capacity. ★ 100% MONEY BACK GUARANTEE: If after you use your tactical backpack for one of it's many applications and you are not impressed with it along with absolutely loving it we will refund your money. Our world-class ARMYCAMOUSA customer service wants you to be SATISFIED with your purchase. Absolutely no risk. The backpack comes with our 100% satisfaction guarantee. Get yours and more for family and friends TODAY!